Interoute/GTT owns and operates one of Europe’s largest most advanced networks and a global cloud services platform. Interoute serves enterprises with voice, video, computing and high capacity data bandwidth and network infrastructure. 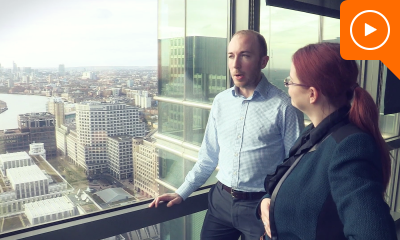 “Within Interoute we saw an increasing demand from customers for more visibility into the network”, says Ken Peatie, Product Manager Unified Connectivity at Interoute. NetDialog’s cloud based NetX software, which Interoute runs as Application Visibility, enables these customers to see exactly what is happening on the network, in terms of how they are performing and how they can better use the network in order to optimize application delivery. NetDialog’s NetX software enables Interoute/GTT customers to see exactly what is happening on the network.